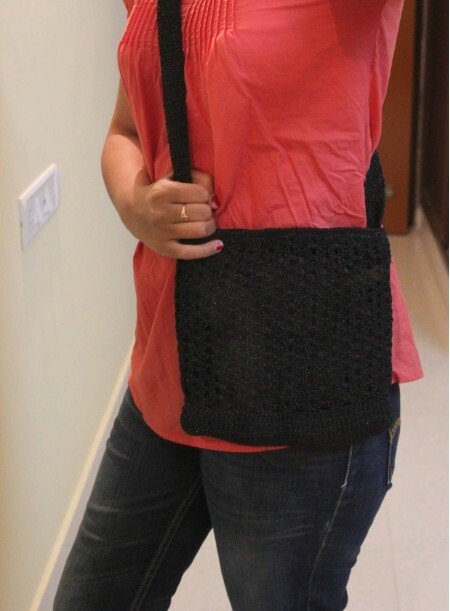 An eye-catching crochet bag that is lovely to carry and practical to use. 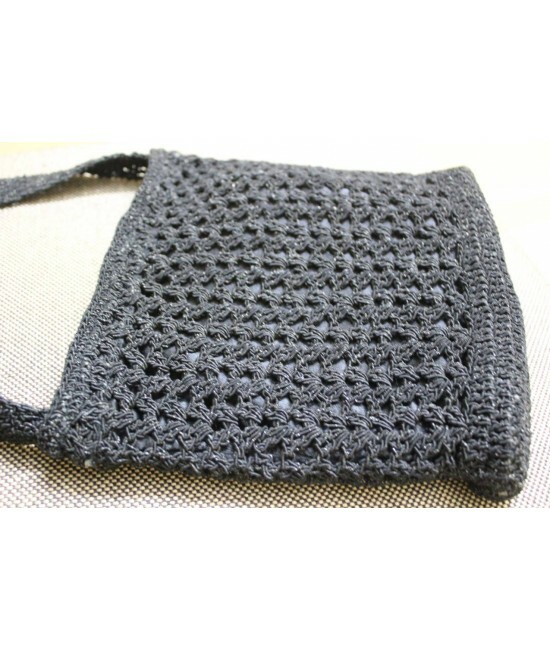 This bag is lined and its handy for holding just about anything you might want to carry along with you. 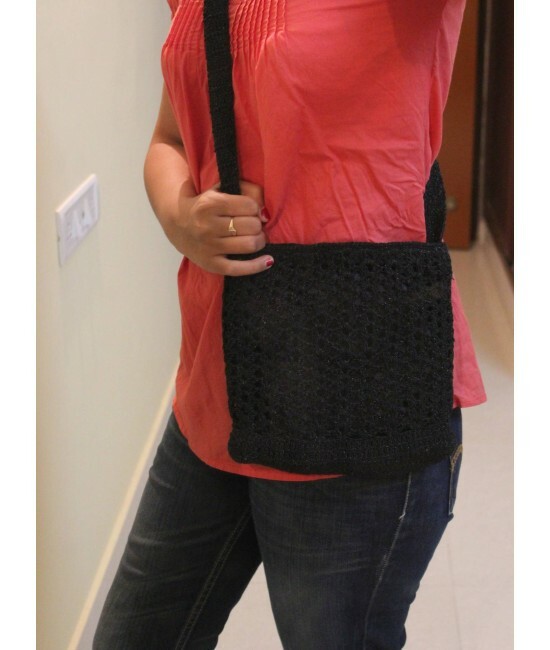 Perfectly adaptable with any Indian or western outfit. 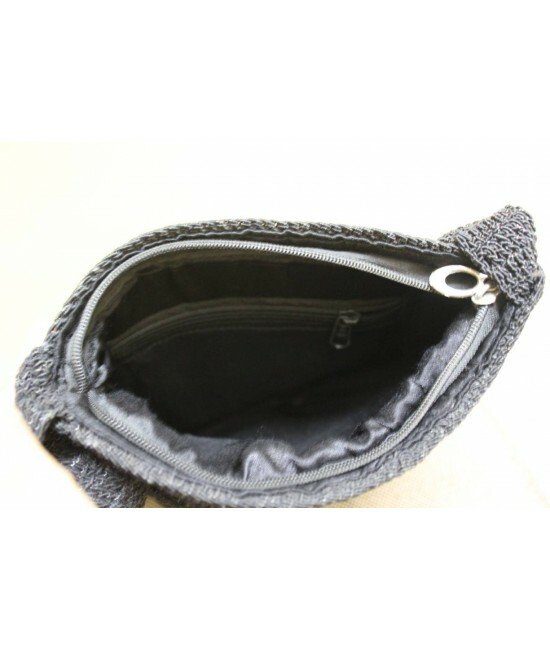 Contains 1 inner zipper and a Satin lining. So go ahead and add that spark!! Made of Shinny black thread thats Knotted to perfection and designed to enthrall.